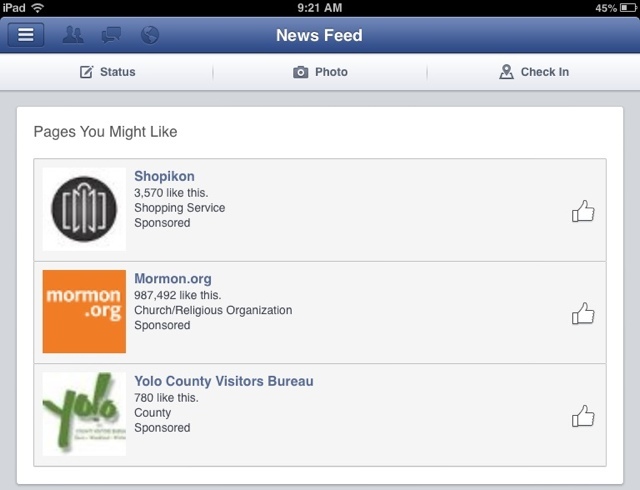 Trust me, Facebook Overlords, I most definitely would NOT be interested in "liking" Mormon.org. At least there's a bit of a silver lining here. Clearly, Facebook's ability to glean information from my account is lacking. Please, sell my profile to the Latter Day Saints. The more money they spend on that will be less money they have to spend on stripping me of my rights.